Hospital lobbyists persuaded lawmakers to draft legislation blocking N.C. Treasurer Dale Folwell’s cost-cutting reforms to the State Health Plan, Carolina Journal has learned. Rep. Josh Dobson, R-McDowell, co-chairman of the House Health Committee, is working on a bill to preserve the current payment structure for hospitals and doctors until Dec. 31, 2021. A study committee would deliver a report to the General Assembly on the State Health Plan’s fiscal sustainability by May 20, 2020. Folwell told CJ Wednesday, Nov. 28, he has spoken to lawmakers. He has asked to explain his reforms to a Republican caucus meeting and was rebuffed. He estimates the changes would save taxpayers $300 million and plan members $60 million in payments annually. “They know what they’re doing, and only they know why they’re doing it. That’s something you’ll just have to get from them,” Folwell said. “I have not seen a bill,” said Rep. Donny Lambeth, R-Forsyth, a House Health Committee co-chairman, and is not sure one would be filed in the current session. “That said, the issue, I think, is finding a solution to the unfunded liability that Treasurer Folwell is trying to solve, and we support his efforts to control the plan cost. We plan to work with Treasurer Folwell to reach a reasonable solution,” Lambeth said. Hospitals wouldn’t get as much money if Folwell’s proposal were adopted. He would move to a reference-based pricing model using Medicare rates as a baseline, and setting reimbursement rates at an average 77 percent higher. The new plan would require greater transparency and detail of billing charges. Negotiations, at times, have been caustic. Folwell also is asking the U.S. and North Carolina Departments of Justice to force state hospitals to release more comprehensive billing records for the State Health Plan. He thinks waste, fraud, and inaccuracies have cost hundreds of millions of dollars in hospital overcharges. “All these lobbyists that are swarming the General Assembly to keep us from saving money … almost all of that is being paid by nonprofit hospitals that were once upon a time owned by the taxpayers, or the state,” and by other hospitals still in the state system, Folwell said. “What people hate are train wrecks, no transparency, sweetheart deals that are done behind closed doors, and the plan operating in the red,” Folwell said. As a lawmaker, he led reforms to the state’s workers compensation system, and as head of the state’s employment security division his moves reversed a $2.5 billion unemployment insurance debt into a $1 billion surplus. The N.C. Healthcare Association, which represents hospitals and large health care systems, didn’t respond to request for an interview. The association instead issued a news release. The release said state health care leaders think the State Health Plan reforms will limit treatment choices for all North Carolinians. Reducing payments to physicians and hospitals to achieve savings could force hundreds of providers out of the State Health Plan network or out of business, and do irreparable damage to the state’s health care safety net. Rob Broome executive director of the State Employees Association of North Carolina, supports Folwell’s reforms. SEANC thinks hospitals refuse to disclose all their performance records and fee schedules because they are overcharging the State Health Plan and its members to cover free charity care they must provide to indigent patients. He said his organization can’t match the hospitals’ legislative ground game. He downplayed the hospital association’s alarms as a negotiating tactic. “It’s sort of a basic element of the playbook to threaten the loss of providers,” Broome said. “It’s one that has been so overused that I think it rings a little hollow.” He said it wouldn’t make good business sense for doctors and hospitals to quit the State Health Plan network. Some, especially in rural areas, would see higher payments under the proposed changes. SEANC officials met with Dobson on Tuesday, and were told the legislation has been drafted. “I’m not really sure why Rep. Dobson has decided that he wants to lead the charge against common sense” attempts to fix the State Health Plan, and in a lame duck session to boot, Broome said. Folwell wants to bring transparency, stability, and predictability to costs. 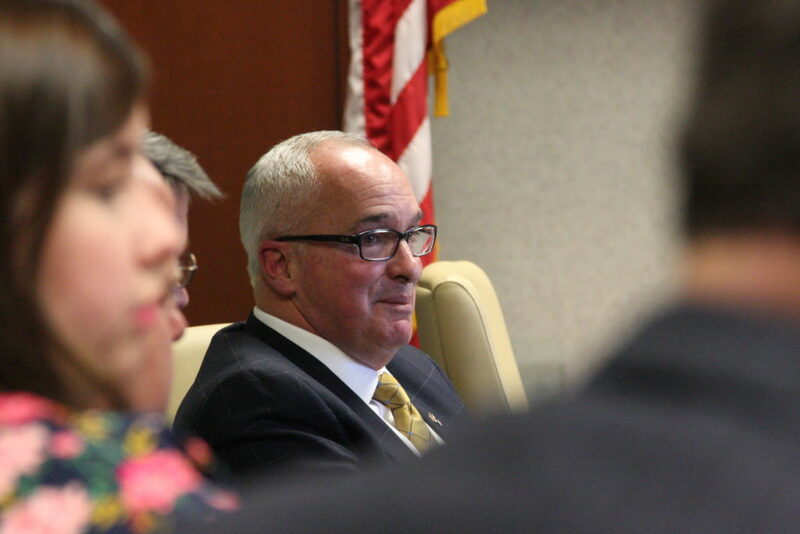 The State Health Plan Board of Trustees unanimously approved his plan, Broome said. The General Assembly should not try to obstruct their efforts as they attempt to whittle away at $35 billion in unfunded liabilities in a system which is only 3 percent funded.